Robo advisors will move $2.2 billion in the US in 2020, with annual growth of 68%, according to the consultancey firm A.T.Kearney. And companies like Feelcapital, Indexa, Finizens and TechRules are boosting this business in Spain. 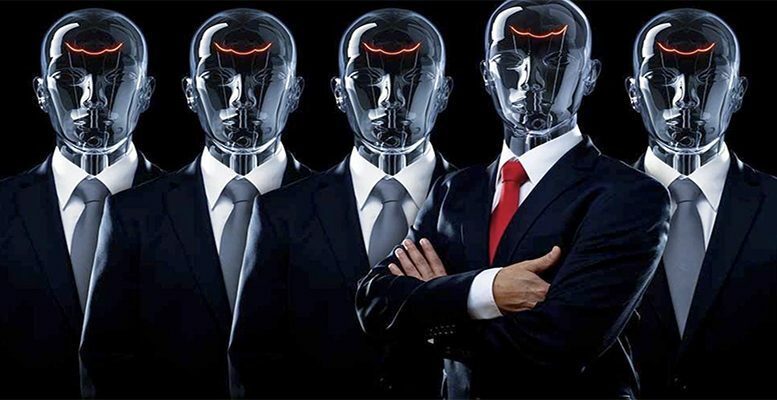 A Robo advisor is an online service which provides automated, algorithm-based portfolio management advice, putting into practice the modern theories which emerged in the 1960s. Portfolio and fund managers, as well as financial advisers have been using the system daily for years to select and manage assets. But robot advisors are now reaching the final investor. The first robo advisor capable of structuring a saver’s portfolio – looking for, choosing and assigning assets which match a specific investor profile with an algorithm based on around 10 basic questions – is usually said to have appeared in the US in 2012. Only about $300.000 millions – of the $33 trillion – which the US investment market moves is now in the hands of a robo advisor. But this tool now has specific legal regulation, 400 operators and a leader – Vanguard – which has its own investment funds and manages $30 billion in assets. The report New Models for the Financial Advisory Business, recently published by the Instituto de Estudios Bursátiles (IEB) and the organisation for financial advisors EFPA España, highlights that “the main advantage these robot advisors offer is the possibility of gaining access to a large number of potential investors, as well as its low cost. This service may take some time to catch on in Spain, but it’s clear that it could become a relevant player in the market in the medium-term.” Furthermore, they are normally accessible online from any mobile terminal, which means they are available at any time. In Spain, the Stock Market Regulator (CNMV) has already granted three operators a licence to operate with private investors – with some degree of caution: Feelcapital – July 2014 -; Indexa – December 2015 – and Finizens – December 2016. Other operators in the market with different approaches include TechRules – now focusing on advisors, fund managers and financial institutions but also with products for private investors -, Finametrix and Noesis – technological solutions – and inbestMe, in the process of being authorised by the CNMV. It was the first Robo advisor for private investors authorised by the CNMV in 2014. It only advises clients, but does not manage portfolios or execute orders, like other competitors. “The Spanish market is very different from the US market. There you pay for advice, but here the banks have shown us that you don’t pay for that. In the next two years, people are going to take control of their money because they don’t have confidence in a traditional bank’s advice. And as they find an opening, they are going to use it. Five years ago, at the height of the banking crisis, talking about a robot advisor was impossible. But we are agile and we have access to the clients who are demanding more all the time, with clear and controlled costs,” explains Antonio Banda, CEO of Feelcapital. “Indexa’s role is to offer automated management, in indexed funds, with global diversification, with costs which are 80% lower than the sector average, and a higher return for our clients. We are the leading robot advisor in Spain, and probably the one with more growth in Europe. We currently have over 1,200 clients, who have an average portfolio of over 20 billion euros,” says François Derbaix, co-founder and CEO of Indexa Capital. Finizens received CNMV authorisation to start operating in Spain as a brokerage in December last year. Now this year it launched its first product in association with Caser – an online savings plan with passive management under the format of a Unit Linked life and savings insurance. According to the Company, “it’s the first savings and investment tool at an international level which offers the saver 100% online access to the passive investment, with the lowest minimum entry fee in the market (100 euros). And the annual management fee is substantially lower than the market average (0.87%)”.